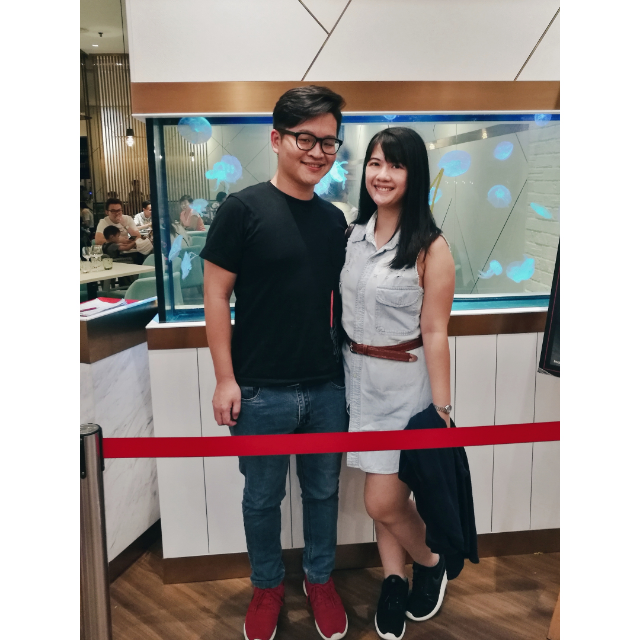 Hello blog space! Assuming we've all gotten sick of my hotel talks, let's continue with a little more yums and this time it's all about Marco's Creative Cuisine! That's right, it's the restaurant you've probably walked past in 1 Utama wondering why on earth do they have a tank of jellyfish and sits where it used to be Franco. Citing "A Journey of Flavours" as their new selling point, one of Marco's most talked about deal is the 7-course meal that they offer. We counted and there were about 6-courses plus a drink, but they insisted it was a 7-course dinner. These meals costs RM 78+ per person (At the time of writing), and you get to pick your dishes from a limited menu they've carefully pieced together. I guess it's been something I've always wanted to try, and it so happened that my other half thought it'll be nice to bring me over since he had once had a meal with his mum there before. So let's see what I got. 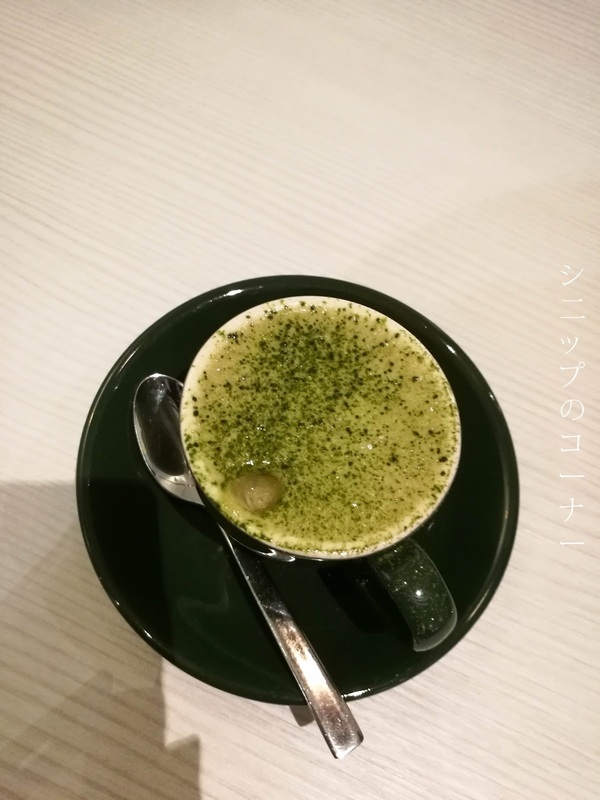 To get you hungry as ever, they first bring you what they call a Velvety Matcha Lime Shooter - a concoction of lime sorbet dusted with fine matcha that was smooth to the tongue but definitely sends a wake up call to your taste buds. The acidic punch lasts for quite a bit, but there's something inside that really makes you want to finish it up...so I'd say it's quite a hit. The journey continues with a Savoury Eclair - Marco's version of an appetizer featuring a gruyere flavoured pate a choux, topped with aubergine caviar. This is completed with a green chile pesto and a tomato confit but fell short of being impressive to me. 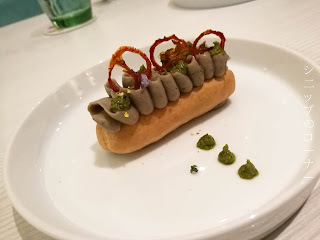 To start the pate a choux was pretty firm to bite, almost like a biscuit - though I don't know if that was meant to be? The aubergine caviar was also pretty tasteless and I didn't quite enjoy how it paired off to the green chile pesto that was sourish to taste. So yeah, that was the first miss of the night. 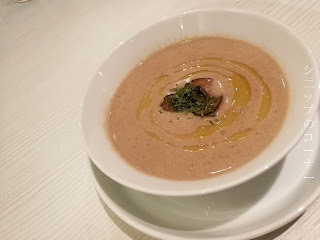 We're then served with a soup, and we could pick from their choices of a Strawberry Gazpacho, French Onion Soup, and Truffled Mushroom Soup. Having been there once, my other half noted that the Strawberry Gazpacho was a little weird as a soup as it is pretty sweet and so I gave that a pass and opted for the safest and best choice of the lot. Absolutely no regrets here. The soup was creamy to taste and the wafting fragrance of mushrooms was so unmistakably good that I would pay just for the soup alone. I did wish there were more mushroom pieces however, but I cleaned the bowl like I've never had soup before anyway. Our entrees came next and I picked out the Savoury Ice Cream Salad because the other two choices were Chicken Parfait, which is essentially chicken liver served with toast, or a Garden Platter of vegetables. 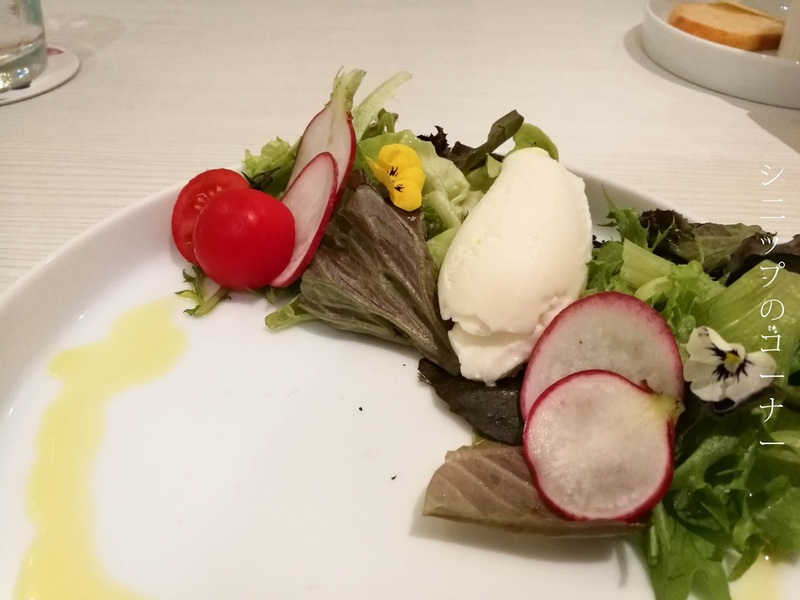 True to its name, the Savoury Ice Cream Salad was indeed not sweet - which was confusing to my mind because most ice creams SHOULD be sweet, but this was served with a scoop of sea salt ice cream, seasonal greens, and edible flowers. I'm a little on the fence for this one because I did enjoy the taste of the sea salt ice cream paired to the greens but like I said, my mind was running wild because I had no idea how to properly classify this. I'd say to give it a try if you haven't though perhaps it's a choice not many may enjoy. After our entree I began to feel the lack of space in my stomach but out came our mains, and my pick for the night was the Squid Ink Japonica Rice served with fresh mussels, prawns, and squids. 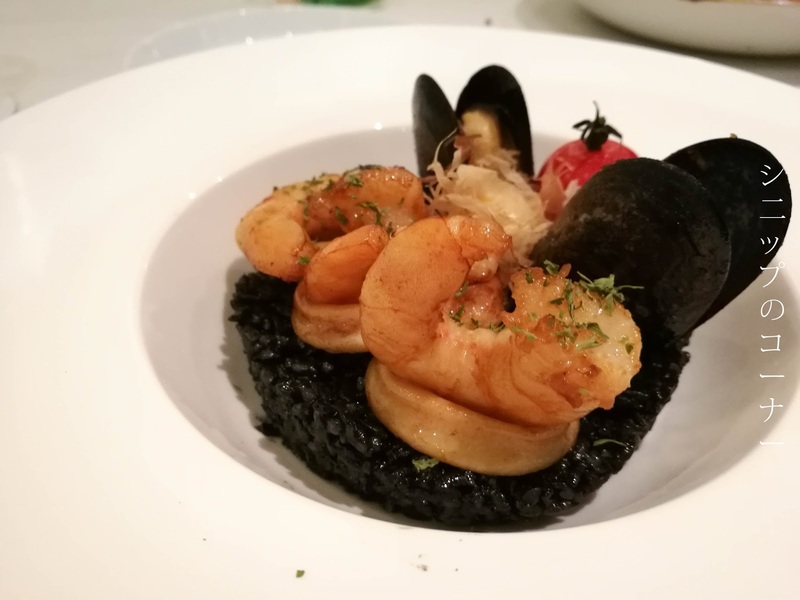 For someone who's not a big fan of mussels, I do think that Marco's hit the mark with the freshness in their seafood thought the rice was way too oily for my liking. I did clean my plate however, but I could see so much oil at the bottom of the plate, I had to wonder if I could take it back as petrol for my car because you know...petrol prices. 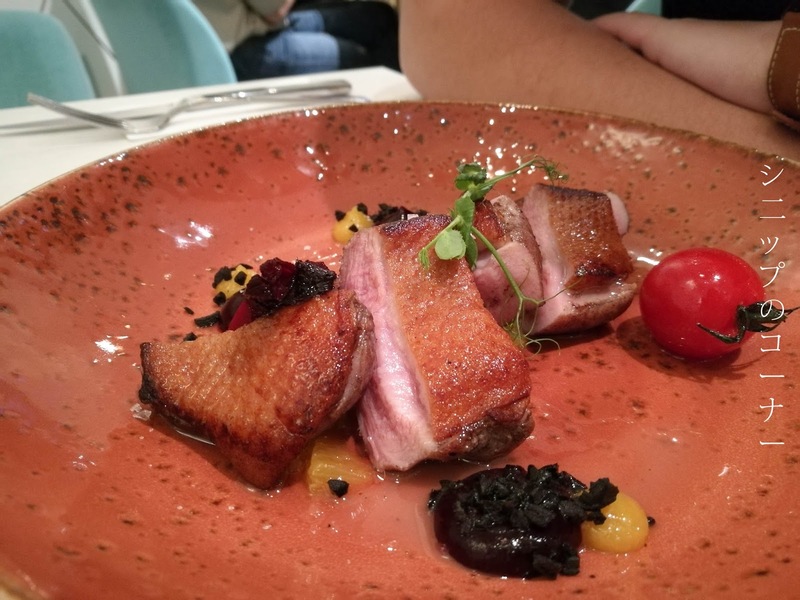 My other half instead opted for the Duck Breast with Orange Puree and Roasted Beetroot, that of which I thought did best without the latter. The duck breast was a little chewy for my liking, but my other half seemed to enjoy it very much. Portion wise it looked pretty tiny for a man however, so I'm glad I could feed some of my rice to him so he wouldn't cry of hunger in the middle of the night. 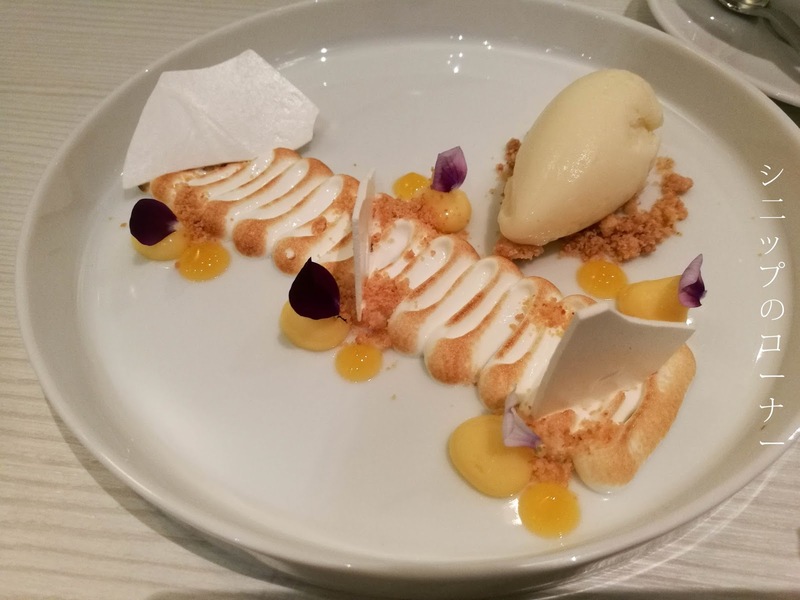 And finally we came down to our desserts, where I picked out the Deconstructed Lemon Meringue Pie featuring elements of lemon curd, passion fruit gel, Italian meringue and a White Chocolate sherbet. I'll first be honest that I had no idea that was a white chocolate sherbet until I re-read the menu, but the Italian meringue definitely hit a spot for me in bringing out a crunchy sweetness to bite. The lemon curd and passion fruit gel was definitely another shock to the tongue with the level of sourness it featured, though when mixed with the rest of the elements tasted pretty good all together. 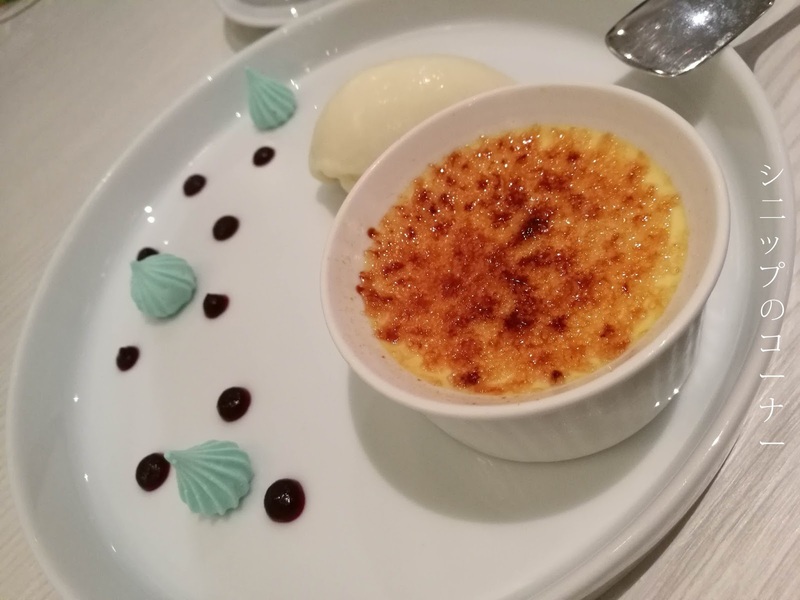 As a variety to our meal, my other half instead picked out the Creme Brulee with White Chocolate Sherbet that worked pretty decent together. The crackling caramelized sugar was amazing to crack through and when taken with the custard bottom was a fine compliment with one another. It wasn't overly cloying when scooped together with the (Again, I had no idea) white chocolate sherbet, and for that I give them credit to a good finish to the meal. Our final "course" was in fact just coffee and tea, and while I appreciated the gesture of having a drink to wash everything down, I still don't think it was worthy to be labelled as a course. I mean, it was that insignificant that I even forgot to take a picture of it! And so came the end to our gastronomical journey for the evening, and I'd say it was an interesting one at that. 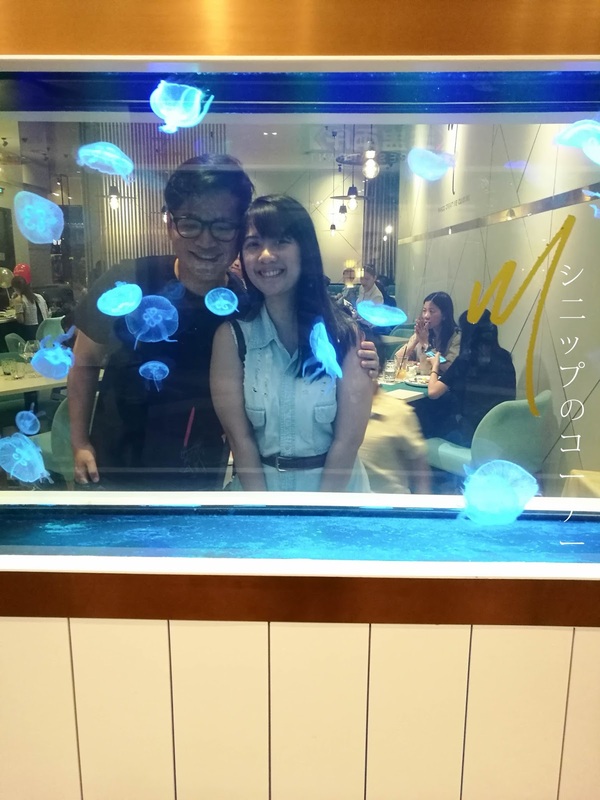 For RM 78+ a person, you really wouldn't expect too much from it but it makes for a good conversation piece to simply spend some time with your loved ones because why not? A plus point to Marco's Creative Cuisine though is that their staff are mostly friendly, and are more than happy to help you take pictures by the end of your meal. They were also champions through the evening, really quick to serve and clean the table and I'd just give them a compliment at that. Would we return? Perhaps we will, but not anytime soon.